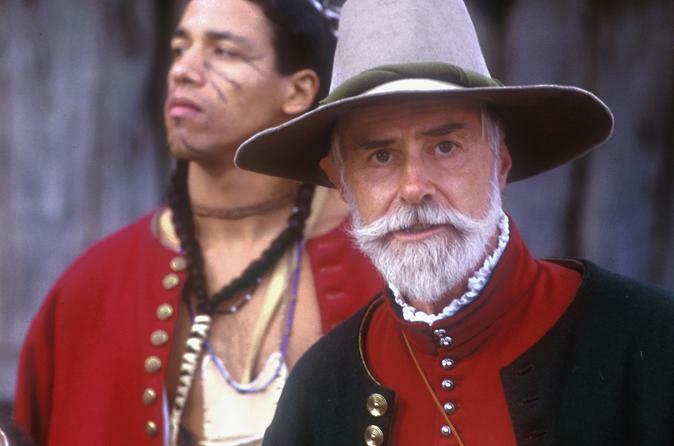 Take a journey back in time to experience the lives of the Pilgrims and Wampanoag tribe in colonial America. Located in Plymouth, Massachusetts, near Boston, the Plimoth Plantation is a living museum that features three outdoor exhibits: Plimoth Plantation, Mayflower II, and Plimoth Grist Mill, all within a short drive from one another. Choose how many of the museums you want to visit; each offers an educational experience about the history of this New England colony. Mayflower II is unavailable as it is away for preservation until May 2019. Plimoth Plantation is a roughly one-hour drive from Boston. You can choose to visit one, two or all three exhibits mentioned below. See Pricing for admission details. Plimoth Plantation is the centerpiece of the outdoor museum, with a 17th-Century English village, Wampanog homesite, craft center, Nye Barn and visitor's center. All are located on the same property. At the 17th-Century English village, travel back to the year 1627! Costumed actors answer questions in character, and inform guests of the Pilgrims difficult beginnings in the colony. See live demos on blacksmithing, farming and cooking in the village. Next to the Village, you’ll find the Wampanoag Homesite and meet people who explain the history and culture of the Wampanoag people. Contemporary artisans share 17th-century techniques for making tools, native and colonial clothing, and furniture at the Craft Center. Nye Barn gives you a behind-the-scenes look at the plantation’s rare heritage breeds of sheep, cows and goats. Head to the waterfront to see Plymouth Rock and the Mayflower II, a detailed reproduction of the ship that the English colonists sailed to Plymouth. Walk about the ship and meet historical characters who describe living conditions on the journey across the Atlantic Ocean. See the passengers’ cramped quarters, peer into the hold where the goods were stored, and compare the spacious Master’s cabin to the confined sailors’ accommodations. A short walk from the Mayflower II takes you to the Plimoth Grist Mill, where you’ll see the grist (corn grinding) mill for the Plymouth Colony. For more than a decade, the Pilgrims ground their corn by hand, until the colony constructed this water-powered mill on Town Brook. The mill is a reproduction of the colonist’s mill; many parts were salvaged from an early 1800s mill near Philadelphia, Pennsylvania. The mill still operates twice a week and visitors are welcome to watch the process.